This website, found under the www.cottageinthewood.co.uk URL, is operated by The Cottage in the Wood and references to ‘we’, ‘us’ and ‘our’ shall be deemed to be references to The Cottage in the Wood. References to ‘you’ and ‘your’ shall be deemed to be references to person making a booking at The Cottage in the Wood hotel, restaurant or bar. Check in: Rooms are available from 3:30pm on the day of arrival. Check out: Guests are required to vacate their rooms by 11:00am on day of departure. Please enquire if you wish to arrange a late check-out. It is the right of the hotel to offer or deny a late check-out subject to availabilty. Late check-out from 12noon or later may be subject to a fee of £50 if not included in your room rate. Smoking, e-cigarettes or vapourisers: The Cottage in the Wood is a non-smoking hotel, in accordance with UK law (Health Bill: Smoke-Free Premises and Enforcement Regulations 2006). The Cottage in the Wood does not permit smoking, or the use of e-cigarettes or vapourisers in any area inside the hotel, including guest bedrooms. If guests violate this policy they will be charged £500. To avoid this charge, we respectfully ask that all guests observe the no smoking policy, and refrain from smoking or using e-cigarettes or vapourisers in any area inside the hotel, including guest bedrooms. Thank you for your co-operation. Pets: Pets are not allowed in the main house, restaurant, bar or lounge. This also applies to some of the bedrooms (Pets are allowed in our pet-friendly rooms only). A charge may be applied if guests violate this policy. It is the responsibility of the guest to inform reception at the time of booking, if they intend to bring a pet so an appropriate room can be allocated. We cannot guarantee the availability of a pet-friendly room if we are not notified at the time of booking. Provisional reservations: Reservations are deemed provisional until the deposit is paid. Provisional bookings are held at the discretion of The Cottage in the Wood. Provisional reservations are held for 7 days if more than 28 days prior to the date of the reservation or for 24 hours if less than 28 days prior to the date of the reservation. The Cottage in the Wood reserves the right to cancel a provisional reservation without warning. Payment of the deposit confirms the booking and signifies agreement with these terms & conditions. – Payment of the deposit confirms the booking and signifies agreement with these terms and conditions. – Reservations are deemed provisional until the deposit is paid. – A non-refundable deposit of £75 per room is required at time of booking to secure a reservation. – If a reservation is changed or cancelled more than 7 days (including the arrival date) before the date of arrival the deposit will be retained. e.g. if the arrival date for a booking is the 25th January and the booking date is changed or the booking is cancelled before the 19th January the deposit will be retained. – If a reservation is changed or cancelled 7 days or less than 7 days (including the arrival date) before the date of arrival full payment for the entire booking will be charged at the full agreed rate. e.g. if the arrival date for a booking is the 25th January and the booking is changed or the booking is cancelled on the 19th January or after the 19th January full payment for the entire booking will be charged to the card provided to confirm the booking at the full agreed rate. – If nobody checks in we will cancel the booking and charge full price for all nights booked to the card provided. – We recommend you have travel insurance in place to cover against cancellation charges. – A non-refundable deposit of 25% of full payment of full booking is required to secure the reservation. Only the number of guests that the deposit is paid for will be confirmed. If additional guests are added to the booking, the deposit for these guests is required to secure their attendance. – Full payment is required 28 days before the reservation date. – If booking is made within 28 days of the reservation date a full payment is required to confirm booking. – Reservations cancelled in whole or in part within 28 days of the arrival date will be charged the full booking. – Payment confirms the booking and signifies agreement with these terms and conditions. – Fully payment is required at time of booking to secure the reservation. Only the number of guests paid for will be confirmed. If additional guests are added to the booking, payment for these guests is required to secure their attendance. – Payment taken in advance is non-refundable if cancelled within 28 days of the event. If cancelled more than 28 days in advance of the event 25% of the ticket charge will be refunded at our discretion. – A non-refundable deposit of 25% of full payment of full booking, is required to secure the reservation. Only the number of guests that the deposit is paid for will be confirmed. If additional guests are added to the booking, the deposit for these guests is required to secure their attendance. – A further 25% of full payment is required three months before the reservation date. – If booking is made within 3 months of the reservation date a non-refundable deposit of 50% of full payment of full booking is required to confirm booking. If booking is made within 28 days of the reservation date full payment is required to confirm booking. – Final numbers must be agreed 7 days before arrival and any additional guests must be paid in full. – Additional items must be paid for upon departure. – Maximum of 7 bedrooms per group booking. Meals outside of these times can be pre-arranged with prior agreement for a charge. Prices: Prices are inclusive of VAT. Service charge is not added to the bill, unless the group is 6 people or more when a discretionary 10% service charge is added to the bill. Additional charges: The card details provided to secure the booking will be stored for 30 days after departure. Any damage to the room, theft or unpaid items will be automatically charged to this card. Dietary requirements or food allergies: It is the responsibility of the guest to inform The Cottage in the Wood of any dietary requirements or food allergies in advance of their visit or at the latest before ordering any food or drinks on the premises. When we are informed of an allergy or intolerance we will do our utmost to accommodate allergies and intolerances by ensuring items are excluded from food and by ensuring there is no cross-contamination, however, we cannot guarantee that ingredients that cause an allergy will be removed from the premises. Please note, nuts are handled on the premises. 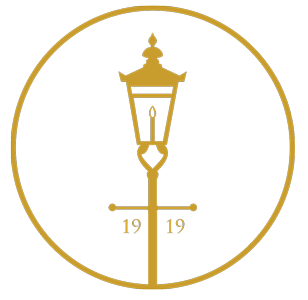 1919 Restaurant & Bar: We only allow food and drink purchased at The Cottage in the Wood’s 1919 Restaurant & Bar to be consumed at The Cottage in the Wood. If this policy is not adhered to a fee of £50 per bottle for drinks and £50 per person for food will be applied. Music: Music is played at The Cottage in the Wood at our discretion. Guests are not permitted to tamper with the music system or attempt to play their own music through the hotel speakers / music system. For parties of 10 or more: guests must choose their menu selection from a reduced menu and send their menu selections to The Cottage in the Wood in advance. Afternoon tea reservations: For afternoon tea reservations card details are taken to confirm the reservation. In the event of cancellation or reduction in numbers within 7 days of the reservation date or no-show on the day, £20.00 per person will be charged to the card details provided. Ticketed events: For events when full payment is taken in advance this payment is non-refundable if cancelled within 28 days of the event. If cancelled more than 28 days in advance of the event 50% of the ticket charge will be refunded at our discretion. Bar & lounge: Tables in the bar are not available for advanced reservations. Vouchers: Voucher must be redeemed within the specific time period indicated on the voucher, subject to availability and exclusions may apply. Competition prizes: Competition entries must be submitted before the competition deadline for entries. Prize may be redeemed within specific time period, subject to availability and exclusions may apply. Prize must be redeemed by the entrant and their invited guest: prize may not be given as a gift or sold to another person. Persons involved in organising the competition are not permitted to win the prize. Additional items and hotel rooms nights can be booked. Offer subject to availability. Prize may not be redeemed in conjunction with any other offers or negotiated rates. Prize applies to new bookings only and may not be redeemed in place of an existing booking. *Special dates include, but not limited to: Valentine’s, Mother’s day, Easter, Three counties show dates, Bank holidays, Christmas, New Years.